There is an interesting story behind these braided Nutella rolls. I recall Bigg Boss season 8 where I saw the participants fighting over Nutella. I wondered what is so special about Nutella until my child started acting crazy for it. The name itself is enough for him to start craving for it. Trust me, he can be sinful for Nutella sandwiches. And for this reason, I keep a stock of Nutella hazelnut spread at home. There is an interesting story behind Nutella origin. Following World War 2, cocoa powder became rare. Pietro Ferrero, a pastry maker in Italy found a smart solution for this problem of shortage of cocoa powder. He created a sweet paste from hazelnuts, sugar and a small quantity of rare cocoa and named it Giandujot which was later named as Nutella. I am an online shopper and buy every possible thing online. You may call me lazy but I do thorough research on the internet before I buy. 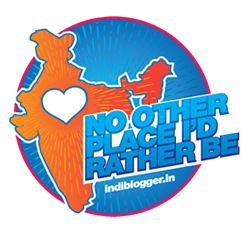 I have been shopping with Big Basket and lately found this food coupons site which offers a flat Rs. 500 cashback additionally on your order. Interesting, isn’t it? Nutella is very high in sugar content. Hence, Nutella recipes, like my famous Nutella brownie recipe, are bound to have high sugar contents. As a mother, the high sugar content is always a concern to me. However, my son is crazy about it. A constant “No” doesn’t solve the purpose either which I explicitly mentioned in developing healthy eating habits. As a part of the solution, I started thinking about how to combine a limited quantity of Nutella with other healthy ingredients. The quest took me to Google search. After reading about a dozen Nutella breakfast recipes and Nutella snacks recipes, I just gave up. The amount of Nutella in the recipe was a showstopper. 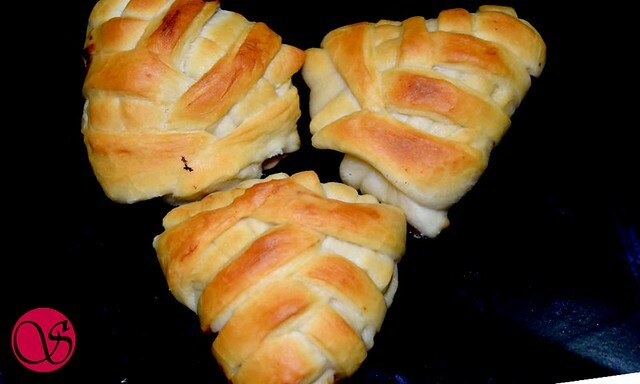 I then used the research and my experience and worked out these Braided Nutella rolls with 75% whole wheat flour. Finally, no more “No” to Nutella made baked goodies. At the same time, the health-conscious mother is also at peace. In most of the Nutella bread rolls recipes that I found online, there was something common. While baking those Nutella bread, Nutella would come out and get burn. I was careful of this while working out on my recipe. The Nutella spread stays intact in my Braided Nutella rolls. No more messing with precious Nutella spread. I could have simply shaped these rolls like a stuffed dinner roll. But, when you are baking for kids, creative ideas excites them. These Braided Nutella rolls are easy to make. When you need to make something quickly, the recipe becomes handy. These are a perfect idea for kid’s tiffin or party snacks. 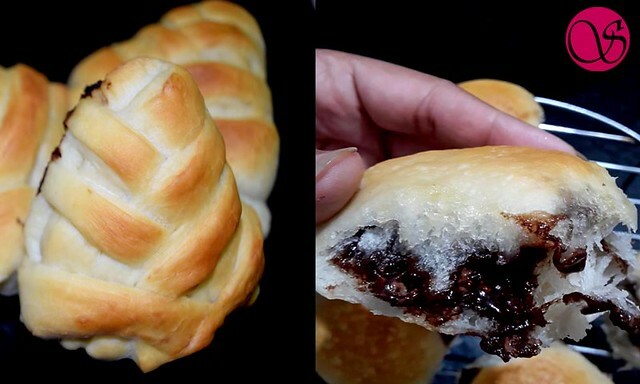 With a shelf life of 2 days, you can carry these braided Nutella rolls while traveling. Now without taking much of your time, let’s check the recipe. In a bowl take lukewarm milk and mix honey and yeast into it. Keep it aside for 10 minutes or until yeast froths. 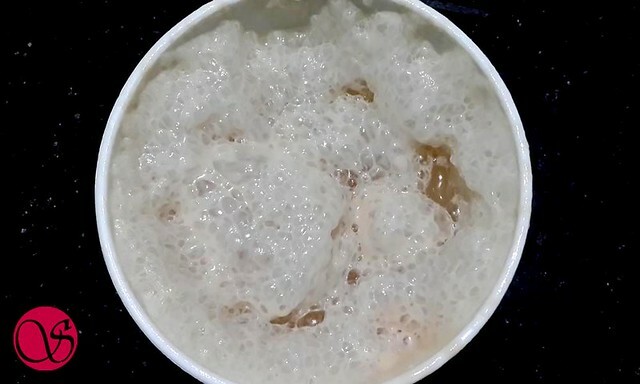 To activate the yeast, the temperature of water matters a lot. It should be neither too hot nor too cold. 36 to 40 degree Celsius is an ideal temperature of water to activate the yeast. More than this will kill the yeast. Once yeast froths, mix it with flour and salt. 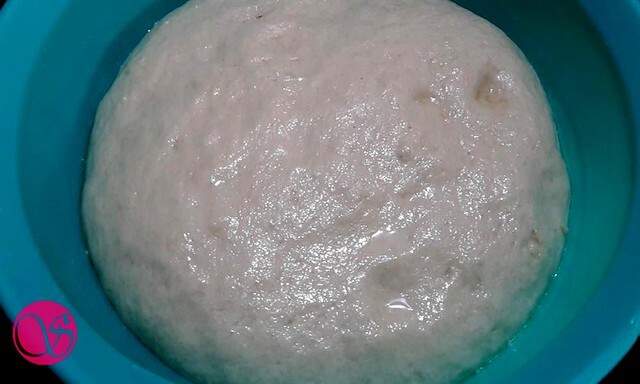 Start kneading the dough by adding water to it. Don’t add water in one go. Add little at a time. Every flour has a different absorbent capacity. Adding water in one go can make the handling the dough difficult for you. Knead a soft and little sticky dough. Add 2 tablespoons of oil and knead for another 5 minutes. This kneading will make the dough non-sticky and elastic. 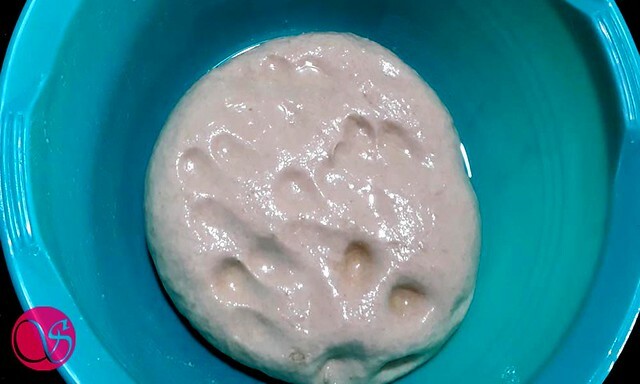 Place this dough in a greased bowl, cover it with a cling wrap/kitchen towel and let it rest until it doubles in volume. It will take approximately 30-40 minutes for the dough to be double in volume. Warmer and drier the weather, lesser will be the resting time. Once dough doubles in volume, punch it to release the air. Divide the dough into 8 equal parts. Roll each dough ball into a circular disc. Use a sharp knife or a pizza cutter. Cut each circular disc as shown in the picture and place 1 teaspoon of Nutella spread. 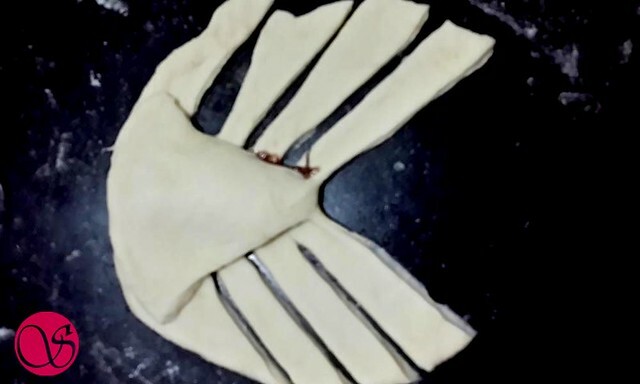 Fold the triangular part to its opposite direction, to cover the Nutella spread. Seal all the edges. 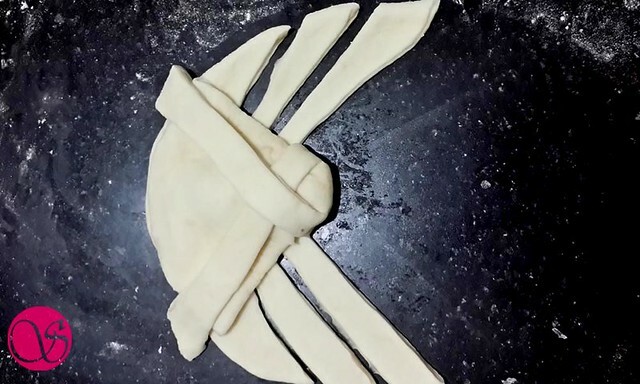 Start braiding the bread by locking the left wing on the right side and right wing on the left side as shown in the picture. Meanwhile, keep the oven for preheating at 200 degree Celsius. Place all the braided bread on a greased tin by leaving some space in-between. Brush it with Milk and let it rest for 10-15 minutes. Bake this Nutella bites in a preheated oven for 20-25 minutes. Once baked, take out these Nutella bites from oven and place on a wired rack to cool completely. Nutella bites are ready to serve. In a bowl take lukewarm milk. Mix honey and yeast into it. Keep is aside for 10 minutes or until yeast froths. Once yeast froths, mix it with flour and salt. 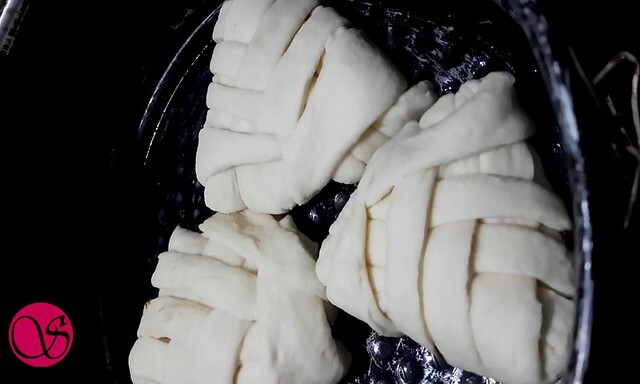 Start kneading the dough by adding water to it. Add 2 tablespoons of oil and knead for another 5 minutes. Now place this dough in a greased bowl, cover it with a cling wrap/kitchen towel and let it rest until doubles in volume. Once dough doubles in volume, punch it to release the air. Divide the dough into 8 equal parts. Roll each dough ball into circular disc. With help of a sharp knife or pizza cutter, cut each circular disc as shown in picture and place 1 teaspoon of Nutella spread. 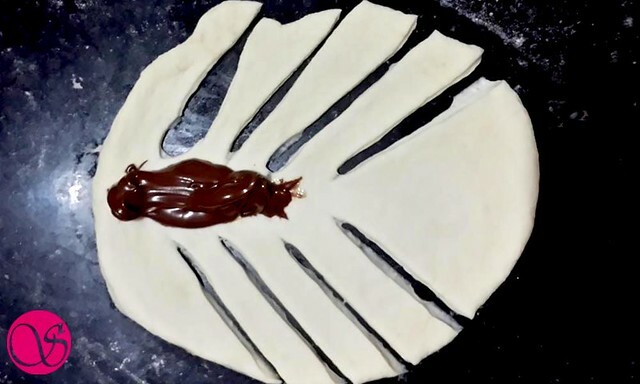 Fold the opposite triangular part to cover the Nutella spread and seal all the edges. Meanwhile keep the oven for preheating at 200 degree Celsius. Place all the braided Nutella rolls on a greased tin by leaving some space in-between. Brush it with Milk and let it rest for 10-15 minutes. 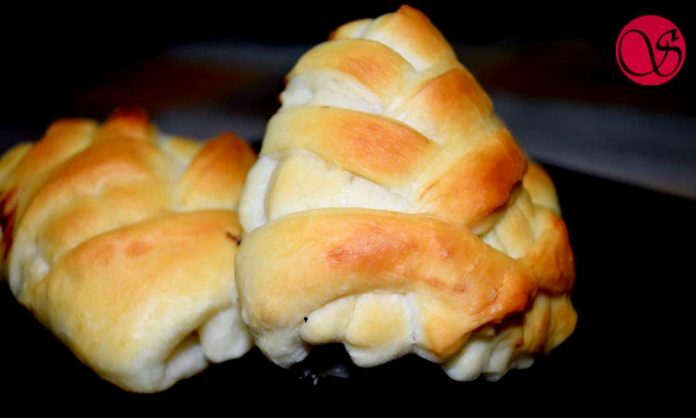 Bake these Braided Nutella Rolls in a preheated oven for 20-25 minutes. Is there any way I can replace the yeast and use Baking Power instead? Siddhi I haven’t tried the bread with Baking powder. However, you can experiment and share the feedback.